Isn’t it nice? I really like neutral interiors for my apartment. The black and white here creates a balanced look across my living room, and it looks very clean and modern. Plus, it’s wide that means I can sleep on it at times. 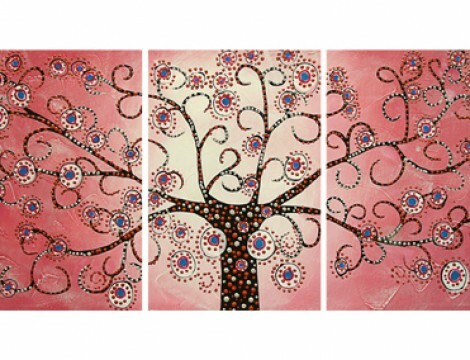 I also wanna buy this set of three tree painting that I can hang on my living room. 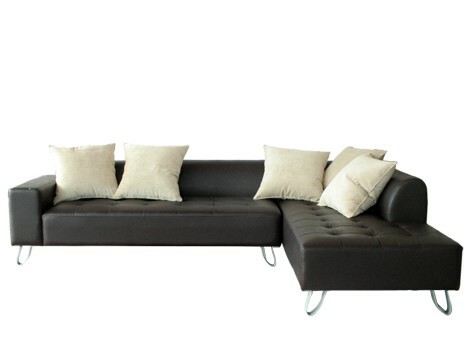 I think it’s perfect and it’ll blend well with that sofa above. The bubbly pink color can add life to black/white colors. Ahhh I can imagine how pretty it’ll look like. I’m also thinking having a huge family picture (in b/w) hanging somewhere in my living room. 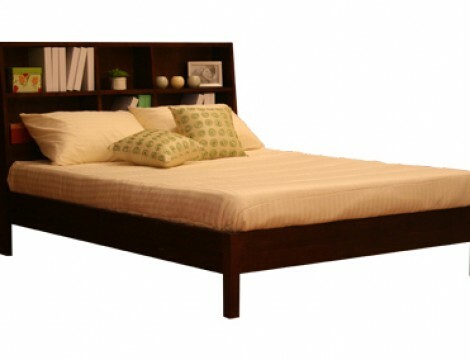 And lastly, this new bed with functional headboard so I can have a place for my books and other stuff. Eversince I moved out of the house, I haven’t been able to buy myself a bedframe, so I’m used to sleeping on the floor (with bedfoam, of course) and sometimes, on my sofa. But now that I am older, I want a comfortable bed so I can sleep better. Ain’t it nice to come home to a nice apartment after a long and tiring day in the office? Money come to me! I need these things in my life!! !